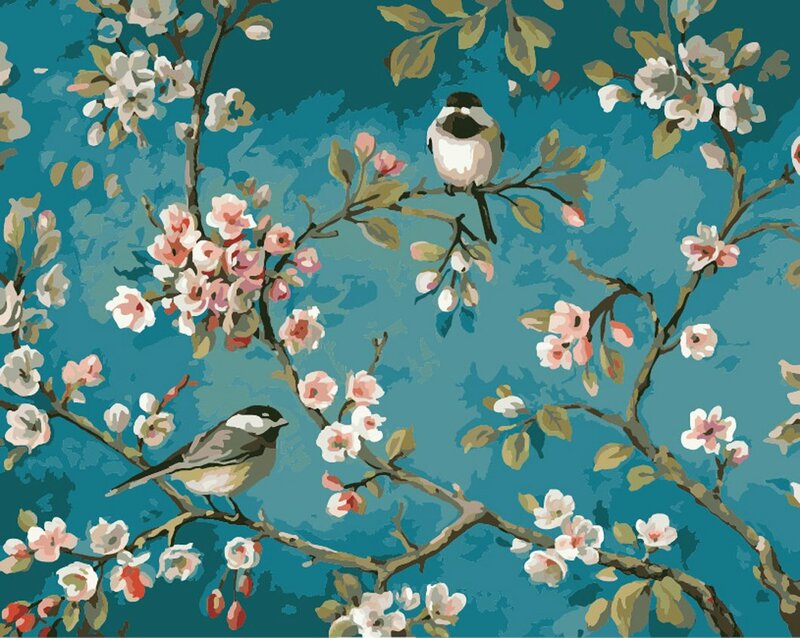 Are you looking for a Bird Paint by Number Kit? 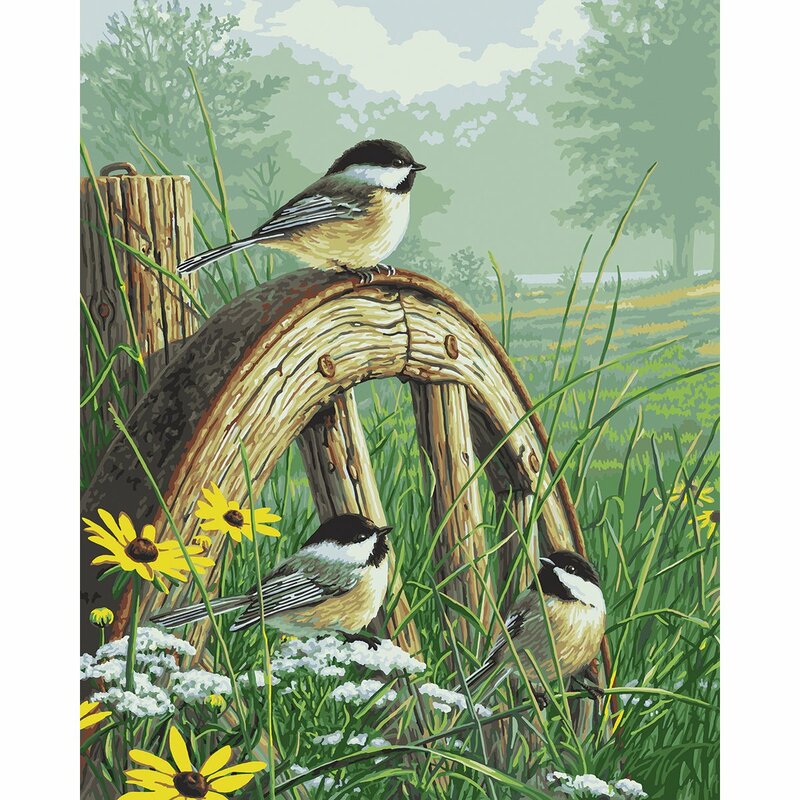 If you’re an avid bird watcher or just love the birds in your own garden and surrounding neighborhood or maybe you have fond childhood memories of birds and you’d like to bring that passion into a hobby. Many of us would love to be able to sit down and draw and paint these feather friends of ours but just feel like you’re unable to draw. 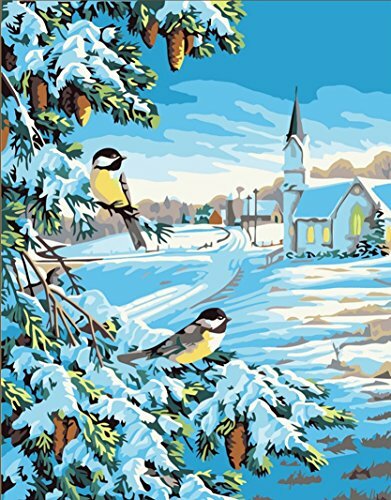 These bird paint by number kits will give you a head start on a life long hobby of creating beautiful master pieces of birds that you’ll be proud to display on your walls or give away as gifts. In a hurry? 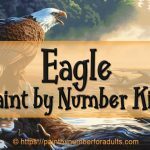 CLICK HERE for a huge selection of beautiful bird paint by number kits! Did you know that if we didn’t have birds our entire way of life be totally different? It it weren’t for our feathered friends, insects would eat our trees and crops. Birds are extremely high up on the the chain of caring for a healthy balance in our ecosystems. 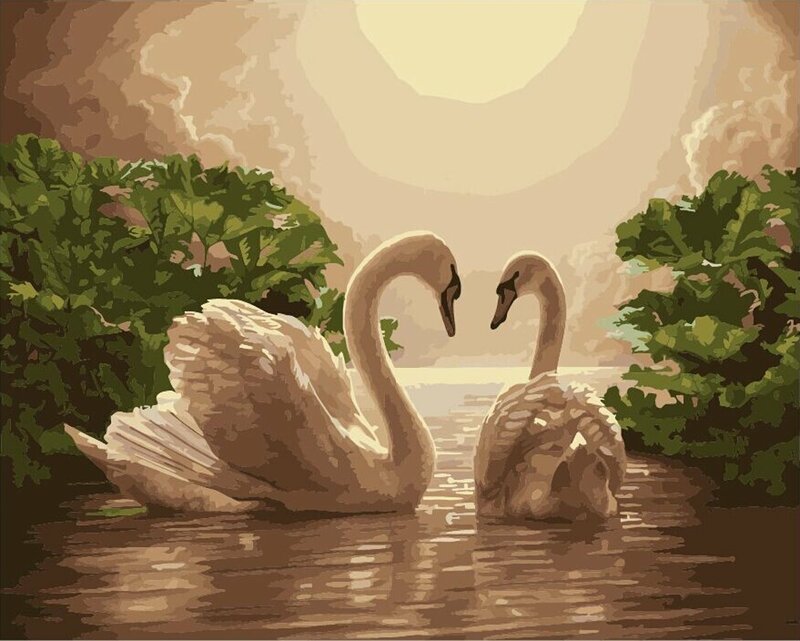 Besides, birds are vital to our own quality of life by providing beauty and movement of life. 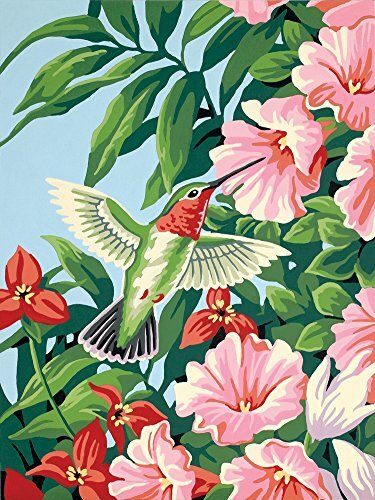 So go ahead and add a few of these bird paint by number kits to enhance your love of birds and fill your leisure hours with an absolutely enjoyable hobby of painting even if you have no idea where to start. 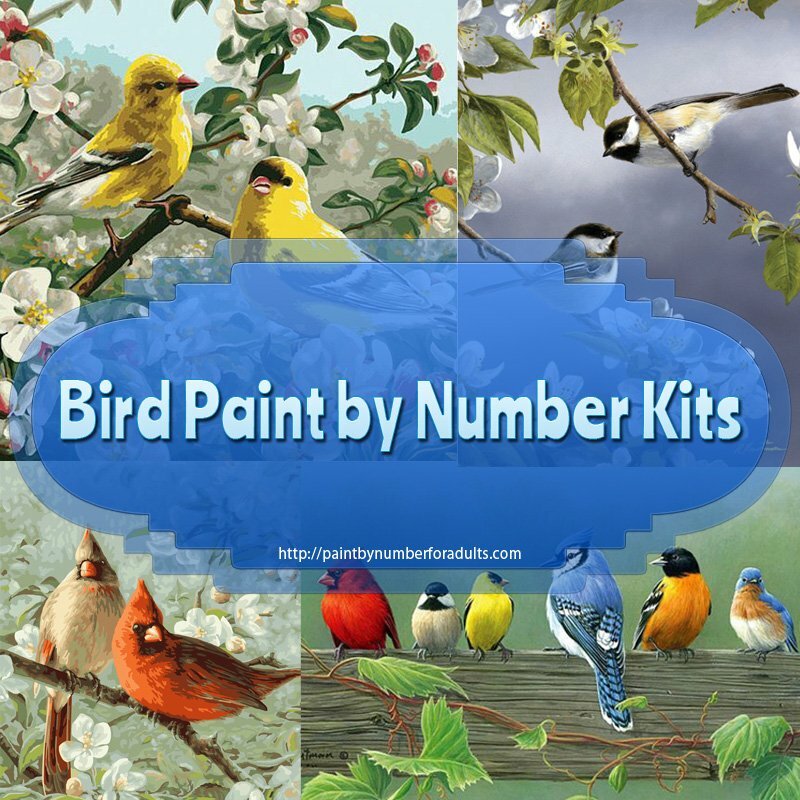 On this page you’ll find a variety of bird paint by number kits in a number of different sizes. 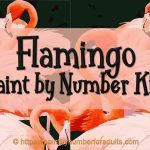 You’ll also find descriptions and important NOTES on some of my favorite paint by number kits of birds. As an artist, for me birds were not always that easy to draw. Nor were they easy to paint but oh did I ever want to learn how to paint them. 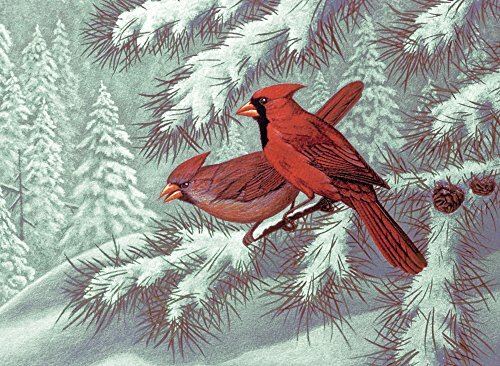 Some of my first ever paint by number kits were of birds. 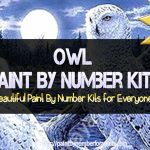 On this page I’ve found quite a few of my favorite bird paint by number kits. However, if you are looking for a particular type of bird and haven’t found exactly what you are looking for, I have a number of pages on this site that are dedicated to specific birds. Below you’ll find links to these pages and as I have time I will add more individual pages. 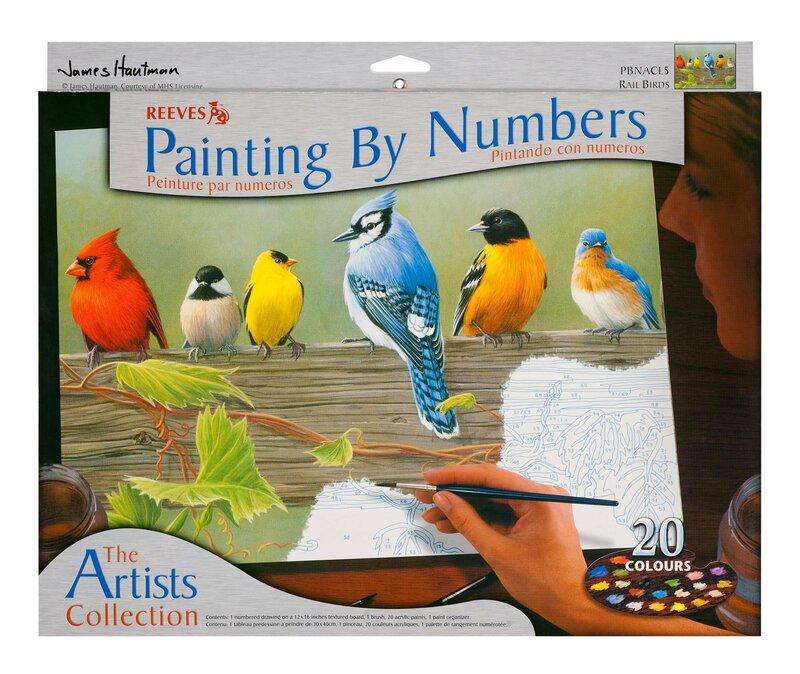 Rail Birds is part of the Reeves Paint by Number Artist Collection and is an ideal introduction for anyone who would like to start their hobby of paint by numbers. Rail Birds measures 12 inches by 16 inches. 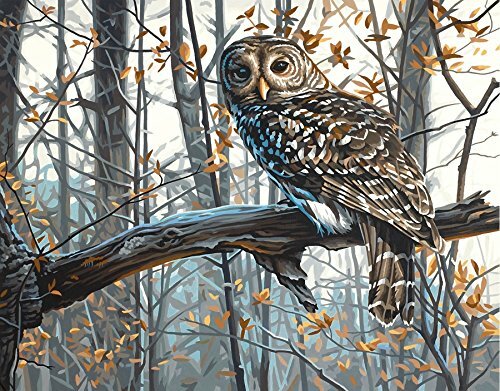 One thing that is nice is that for a beginner to painting there is no need to worry about composition or subject matter for these paint by number kits of birds. 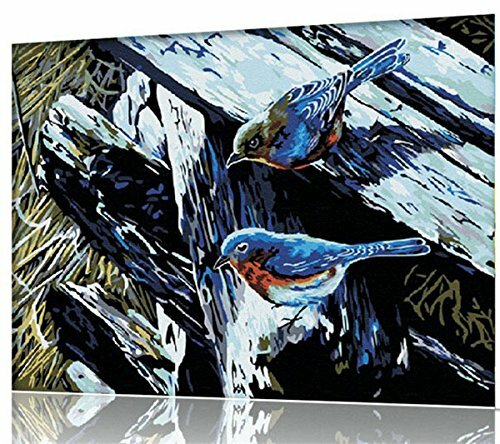 The canvas board is pre-printed, making it easy for you to just read the instructions that are printed on the back of the package and start painting. 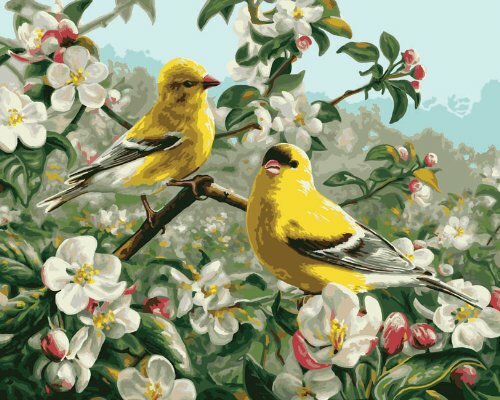 If you have never tried a paint by number kit before you’ll find that the pre-printed board and instructions make it easy to reproduce this image. This kit comes with one pre-printed textured canvas board, one paintbrush and twenty acrylic paints. When you’ve completed your painting, frame it and display your talents. NOTE: You might want to invest in a pack of good quality artist brusheswhich most certainly add quality to your finished product. Dimensions Needlecrafts Paintworks are known for their high quality paint by number kits and have been around for ages. One thing you might want to know about about Dimensions Paintworks paint by number kits is that they typically involve mixing of paints. However, don’t be too concerned as this is quite easy, basically half and half. When mixing all you need to do is simply add relatively equal amounts of each of the two colors which you will need to make the color that you need. If you are wondering it is all coded. You might want to use a plastic palette with small wells and just mix a very small amount and proceed to paint with that color until it runs out. Then if you still need more of that color mix a little more. Blending and mixing colors really does make the painting come to life. Sometimes many people find that it is easier to paint all the single colors first and then work on mixing and blending the other colors afterwards. 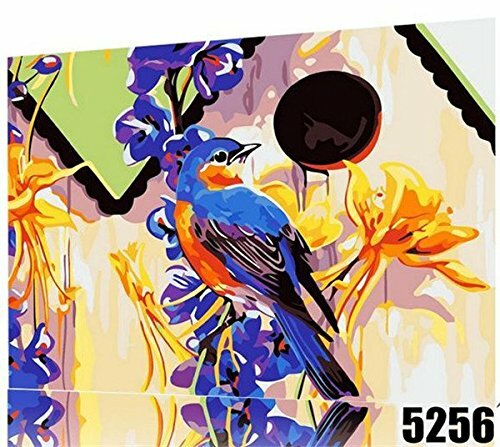 All in all, don’t pass these bird paint by number kits by because you are worried about mixing colors. 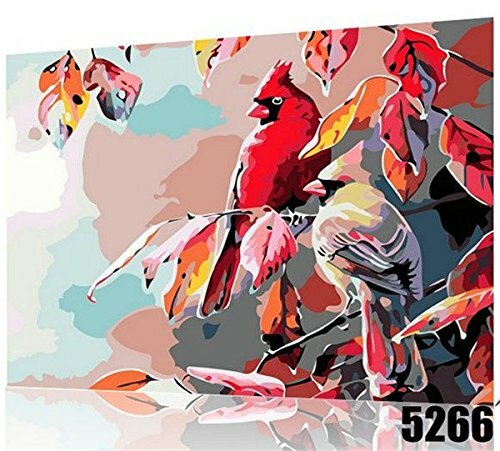 Below you’ll find a number of quality paint bird by number kits from Dimensions. I’ve picked a few that are my favorites and if you are interested you can check out what other people have said about these paintings by clicking HERE. 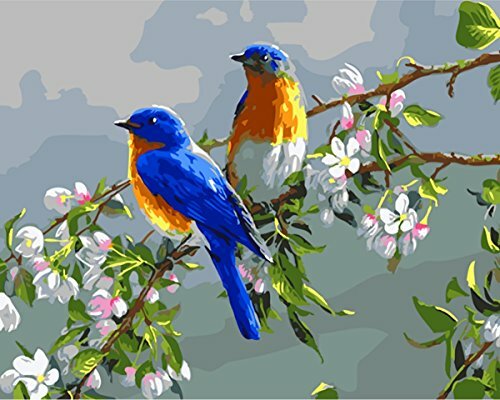 If you are a bluebird fan you will thoroughly love working on this Garden Bluebirds paint number kit by Dimensions Needlecrafts Paintworks. This Garden Bluebirds PBN measures 14 inches by 20 inches and is absolutely STUNNING when completed. Once this painting is finished you will more than likely want to spend the money to frame it. The kit comes with one textured canvas board, one basic paintbrush and enough acrylic paints to finish the painting. NOTE: Again I would recommend purchasing a good set of high quality artist paint brushes as it makes all the difference in your finished painting. One other thing you’ll need to put a second coat of paint on the lighter colors as the numbers and lines will show through. 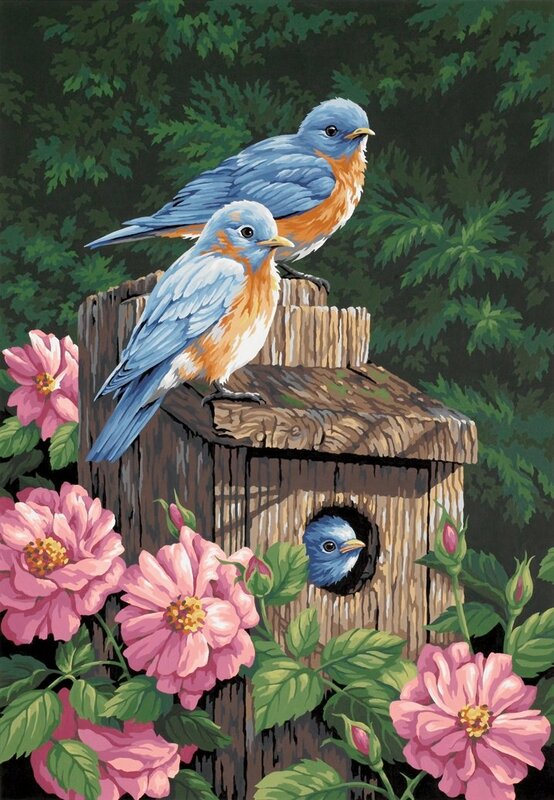 I highly recommend this Garden Bluebird bird paint by number kit. NOTE: This painting does require blending but it is really simple to do as I explained earlier. The Plaid Company has been around since 1976 and is a global leader in the art and craft business. All their products are high-quality, non-toxic crafting materials that are safe for everyday use. 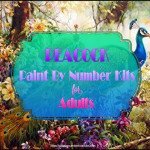 Each complete paint by number kit features beautifully detailed light shade outlines of the composition, along, with each color indicated by a number. Each Plaid paint by number kit includes everything that is needed to create a stunning work of art. This includes non-toxic premixed paints and brushes. The one thing about Plaid paint by number kits is that there is never a need to blend or mix colors. 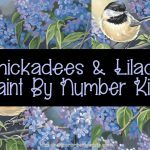 This Meadow’s Edge bird paint by number kit by Plaid Paint By Numbers is another one of my favorites. This kit comes with one textured canvas board, a paint brush, 24 acrylic paint colors and a set of easy to follow instructions. For anyone who is worried about blending and mixing colors, there is no blending required for this painting. NOTE: The numbers are quite small so if eyesight is a problem you might want to use a magnifier. 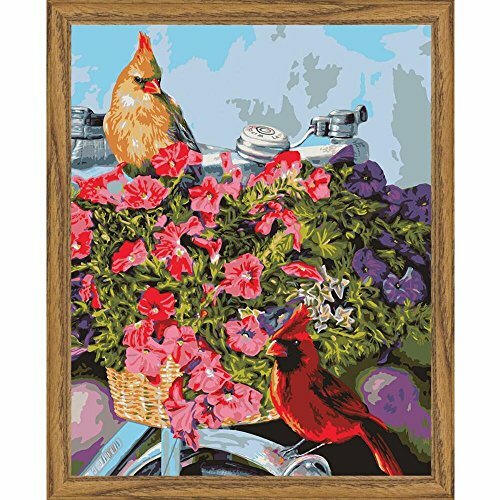 Your finished masterpiece measures 16 inches by 20 inches and is perfect to frame and display on the wall. 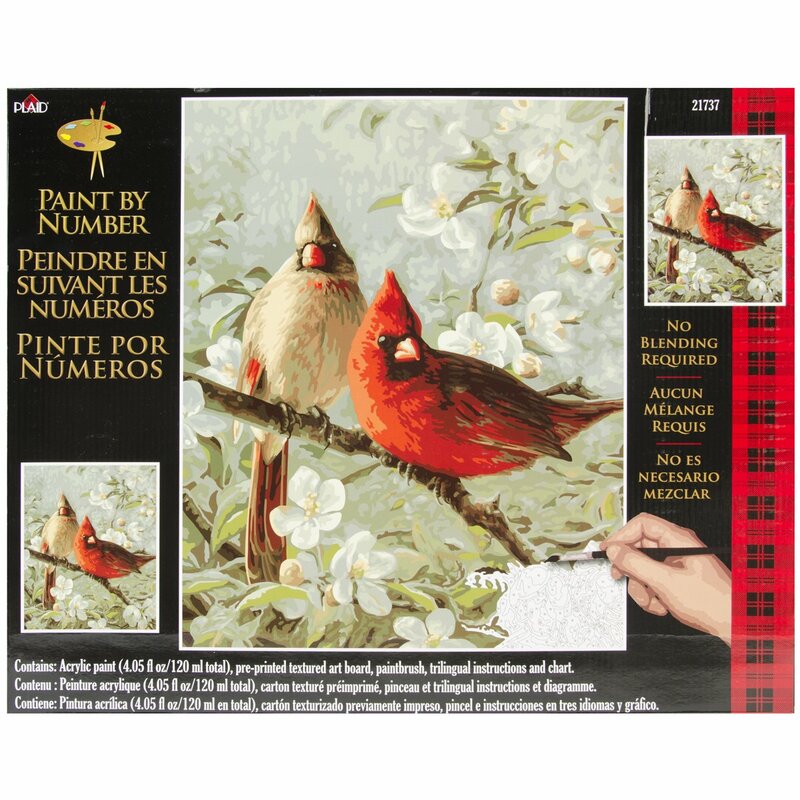 Cardinals & Cherry Blossoms is a brand NEW bird paint by number kit by Plaid and measures 16 inches by 20 inches. 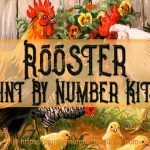 This kit comes with one 16×20 inch pre-printed textured art board, enough water-based acrylic paint acrylic paint to finish the painting, one paintbrush, and easy to follow instructions and a chart. 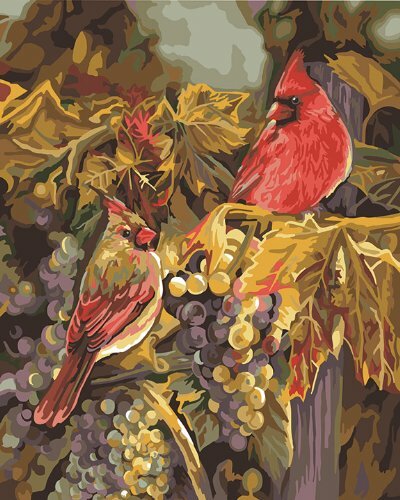 Harvest Time is another beautiful bird paint by number kit by Plaid that measures 16 inches by 20 inches. This kit comes with a pre-printed textured canvas board, one brush, 32 paint pots, and easy follow directions. As in some of my other comments I would pick up a set of high quality artist paint brushes if you don’t have any because this makes all the difference in your finished painting. 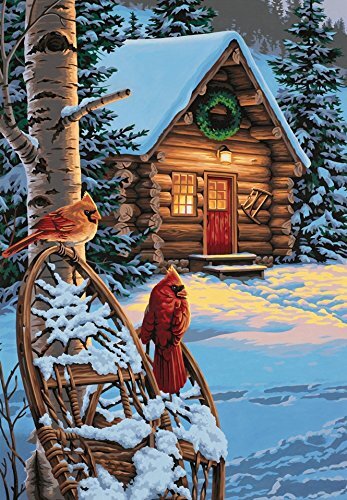 Cardinals and Cabin is a beautiful 14 inch by 20 inch winter bird paint by number kit! This paint by number kit includes contains a pre-printed textured art board, one #1 round paintbrush, and enough high quality acrylic paints to finish your project. Dimension paint by number kits are really good quality paint by number kits but be aware that for this painting you will have to mix some colors but don’t be concerned it quite simple to do. The acrylic paints are easy to mix and easy to water down. 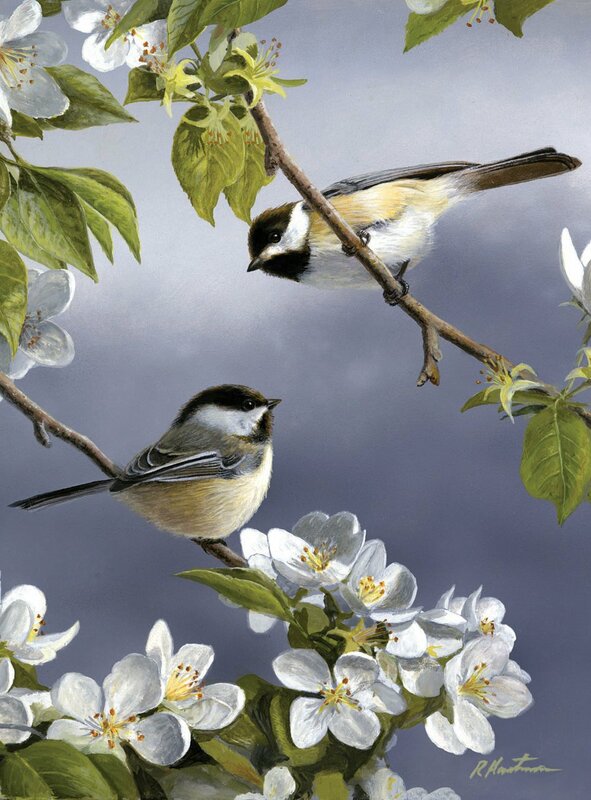 If you are looking for a small paint by number kit of birds her are just a few that I think are beautiful. 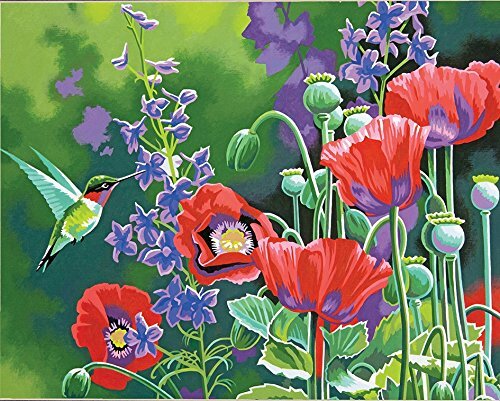 This Spring Chicadee paint by number kit from Reeves includes an artist quality 9 inch by 12 inch textured board ,20 colors, one paint brush, a paint organizer which will help you to reduce the mess factor and a full set of instructions. 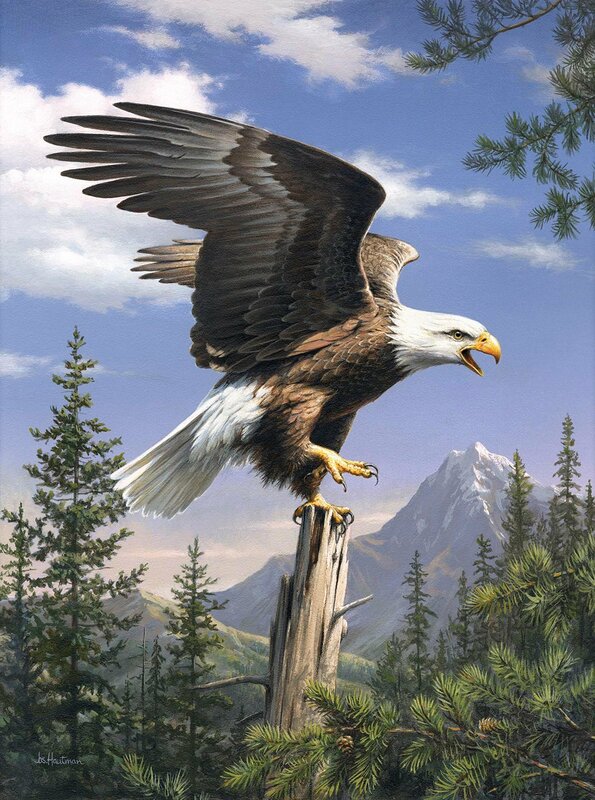 This Screaming Eagle paint by number kit from Reeves includes an artist quality 9 inch by 12 inch textured board ,20 colors, one paint brush, a paint organizer which will help you to reduce the mess factor and a full set of instructions. 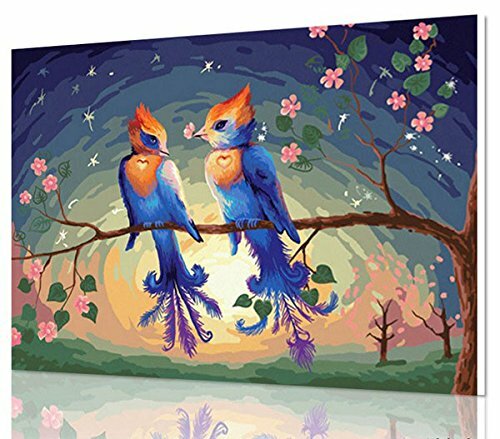 This Truelove bird paint by number kit measures 16 inches by 20 inches comes as a canvas stretched over a wooden frame. This is not your regular canvas board paint by number kit. It is a stretched linen canvas. This particular kit comes with 3 paint brushes that will do the job, however if it was me I would opt for a set of good quality paint brushes. 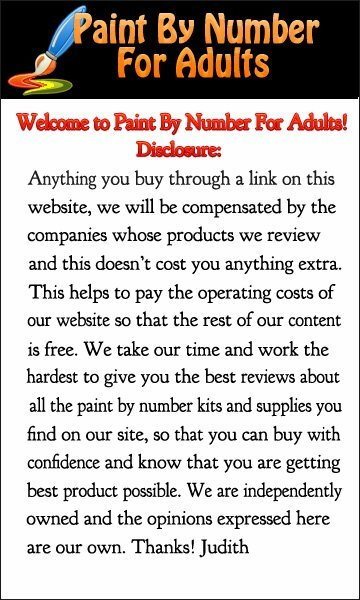 NOTE: The numbers on this paint by number kit are small so if your eyesight isn’t the best you might want to consider a magnifying light or glasses. I myself love using a magnifying light as it lessens the strain on my eyes while I work my hobbies. 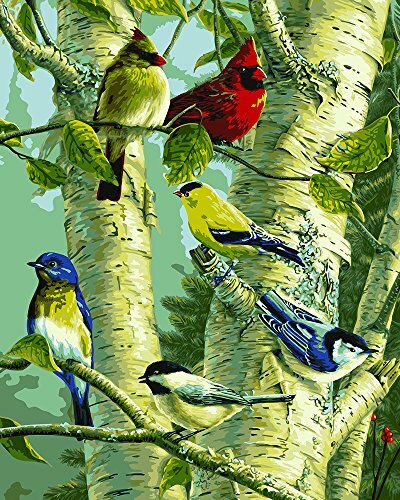 Once you have finished anyone of these bird paint by number kits you might want to apply a coat of satin varnish which will bring out the depth of the colors and this will give your painting a very professional look. 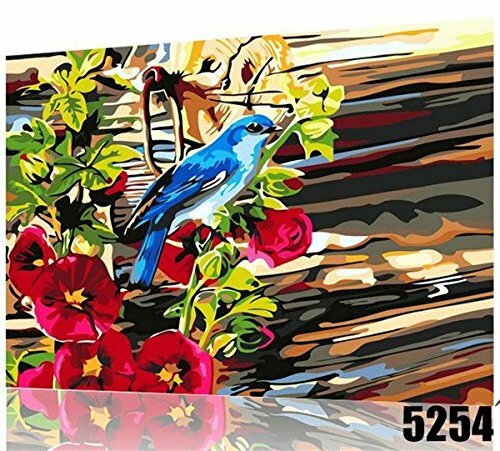 This Magpie bird paint by number kit comes with a printed textured art canvas and measures 20 inches by 16 inches and three high quality paint brushes and all the acrylic paints to finish the painting. You also get a set of easy to follow intstructions and a 3X Card Magnifier for those small painting areas. NOTE: Doesn’t come with wooden frame. If you need you can purchase the easy to assemble Solid Wooden Frame Set 16*20 inches HERE. 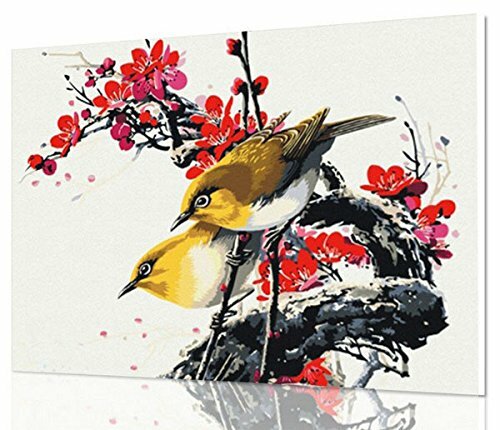 Apricot Flower is a beautiful bird paint by number kit that comes with a pre-printed canvas mounted on wooden frame, high-quality acrylic paints, and three paint brushes flat, medium and small. This painting measures 16 inches by 20 inches. 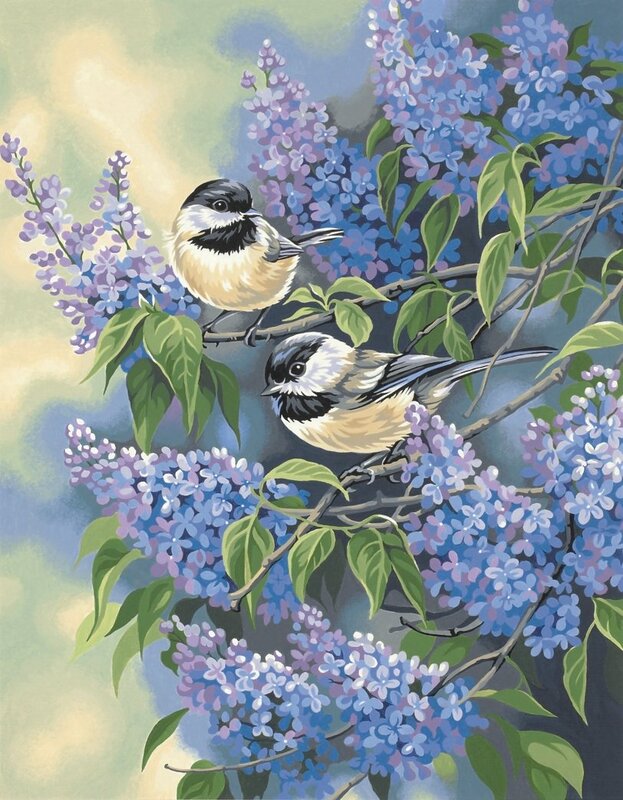 If you are still interested in seeing more bird paint by number kits below you will find links to some of our other bird paint by number kits.